It’s time to get glammed up! 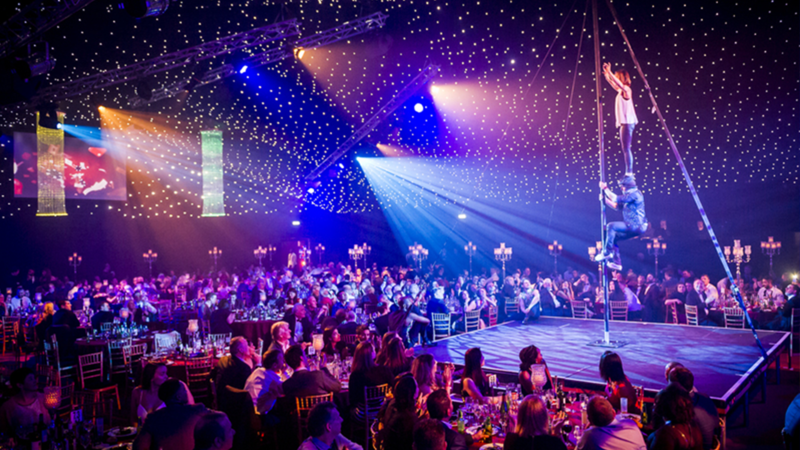 Arrive at our dazzling star-lit venue, where glamorous cabaret girls will welcome guests into the Cabaret Lounge. Enjoy a sparkling reception in the Cabaret Lounge and then as dinner is called, the curtains are drawn to reveal the big, bold and brassy show room! Complete with a feature stage and shimmering table centres this room is set to dazzle! As you enjoy the sparkling cocktail reception in the Captivating Cabaret Lounge, you will be invited into the big, bold and brassy show room, where the magnificent entertainment and tantalisingly tasty 3-course dinner will begin. 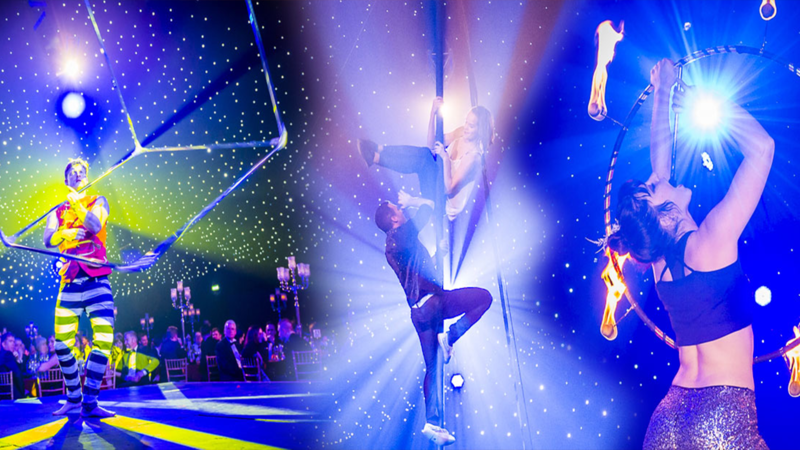 After the world class performances from the sizzling fire acts to the outstanding aerialists, it’s time for guests to move to the discothèque where the DJ will fill the evening with dance floor shakers.